Join us for the Cincinnati Finals at Miami Valley Gaming! 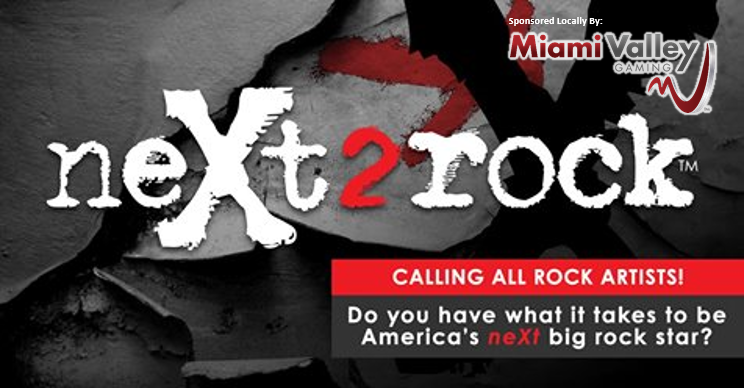 #neXt2rock is ready to find America’s next rock star! CLICK HERE and scroll thru this year’s artists and rate your favorite bands, the more votes they get, the closer they become to being winners of neXt2rock 2018! What’s in it for you? When you vote, you could win you a trip to Los Angeles for the finale to see the winner crowned live! Listen and vote today! neXt2rock 2018 – sponsored by:Miami Valley Gaming and Bunbury Festival. The Cincinnati Finals will take place at Miami Valley Gaming on Saturday, August 25th.